Think you have what it takes to reshape the future of the travel industry? If your answer is a resounding YES, we’d love for you to join us at this year’s DestinationHack Event in Singapore on October 14 - 16. This is the premier travel industry hackathon. You’re given 24 hours to build something unique in the travel space. We’ve seen a huge output of creativity at previous hacks in London and Brasil, and are looking forward to seeing what ways we can disrupt the travel sphere this year. With a gathering of over 150 developers, designers and entrepreneurs, greatness is bound to happen. If you can't make the live event in Singapore, we'll be hacing a virtual component. Register your via devpost now (up to 5 members)! This year Sabre's latest product, the New Sabre Red Worskpace, now has two challenges added to the lineup. The best widget ideas for the Decision Support Bar and Panels. These are new territories for all developers. These widgets are a very exciting opportunity to gain exponential visibility amongst agents globally. Learn more on the new 'widget's, 'Decision Support Bar,' and 'Panels' are right HERE. 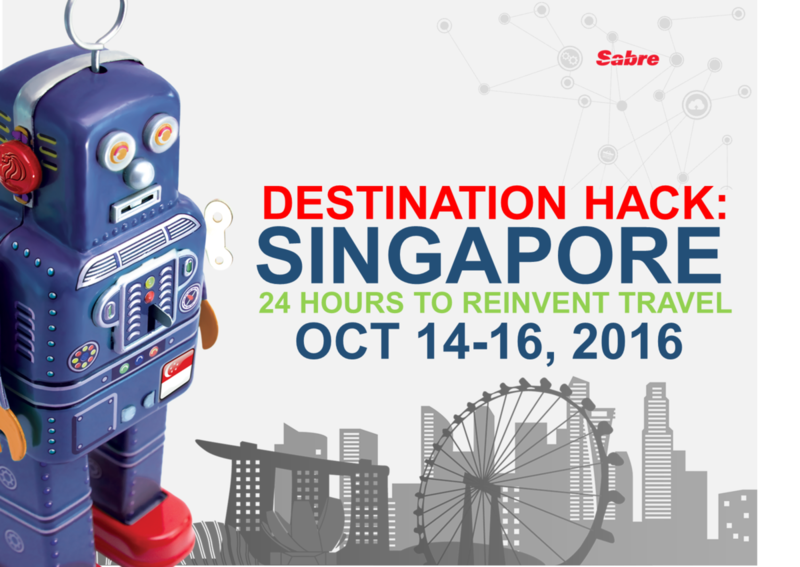 Eligibility and rules for our Sabre Destination Hack can be found here. Participation is pretty simple: register and bring your creativity and we’ll give you the tools to make this happen. As a talented developer, we know you’ve got some insanely good ideas.